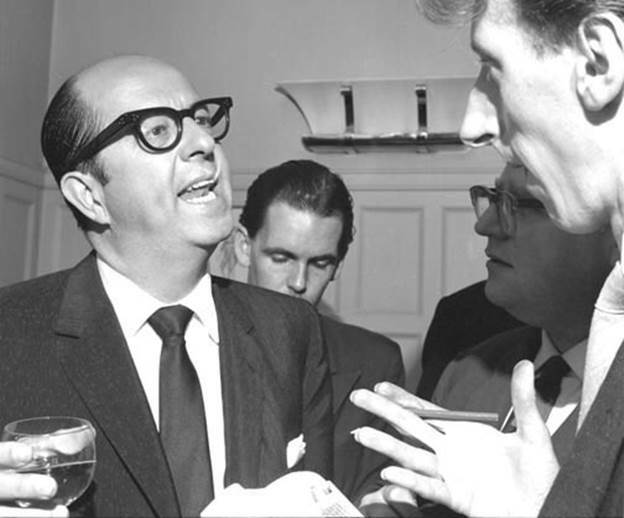 London, June 15, 1959: Comedian Phil Silvers, left, talks to reporters during a reception in London. Silvers is best remembered for his portrayal of the conniving U.S. Army Sgt. Ernie Bilko in his 1950s TV sitcom, The Phil Silvers Show.